Beautifully decorated 3 bedroom 3 bath middle unit located on the 7th floor of the Wharf. 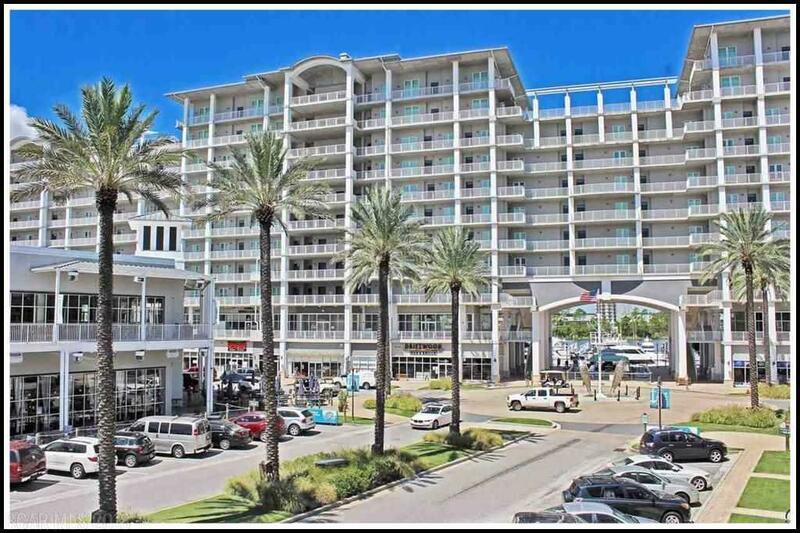 Unit overlooks the beautiful Marina at The Wharf and Intracosatal Waterway. Balcony equipped with Natural Gas Grill and comfortable patio furniture. Fully appointed kitchen includes stainless steel appliances, granite countertops, wine cooler, automatic icemaker, and separate laundry area with stackable washer and dryer. Masterbath features granite double vanity sinks, separate glass enclosed shower and air jet tub. Enjoy the endless amenities at the Wharf including 10 restaurants that include fresh seafood, upscale fine dining, fresh bakeries & coffee, ice cream parlors and more. The Wharf is also home of The Oasis. This little corner of paradise features three pools, including a zero-entry wave pool, lagoon pool, childrens area, lazy river, waterfalls, whirlpool spa, sandy beaches, a hammock island with rustling palms, and tiki bar stocked with snacks, meals and refreshing cold beverages. Bedroom2 Dimensions 12'2" X 12'9"
Bedroom3 Dimensions 12'1" X 9'11"
Kitchen Dimensions 10'4" X 9'7"
Lvg Dng Dimension 21'3" X 14'7"
Master Bedroom Dimensions 13'7" X 17'7"